This holiday season, the personal injury attorneys at Hardy, Wolf and Downing want your family to stay safe, happy and healthy. Sitting down with your teen driver to review safe driving practices can make the difference between a holiday full of magical memories and one marked by tragedy. All parents would like to believe that their teen driver is safe and makes good decisions behind the wheel. But statistics show this simply isn’t the case. Teen drivers account for less than 3% of Maine’s licensed drivers, but they account for at least 12% of automobile accidents resulting in serious injuries. Every week, at least 60 teenaged drivers are injured on Maine’s roadways. 15 to 24-year-olds compromise roughly 13% of all licensed drivers in Maine, yet they are involved in 36% of all motor vehicle fatalities. These are indeed sobering statistics. But there are effective ways to help your teen driver stay safe this holiday season. Safe teen driving begins with good education and frequent reminders about safe driving practices. Parents should not assume that teen drivers know (or remember) how to drive in icy, snowy or wintry conditions. Review safe winter driving practices with your teen at least once a season (just be prepared to ignore the eye rolls you may get in return). Their safety is paramount, so instructing them on safe driving practices is well worth the “Mom, I already know that!” comments you’ll likely endure. 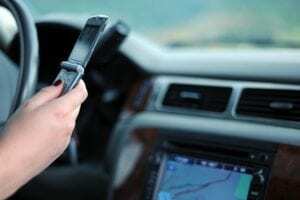 Your teen should NEVER use a cell phone while driving. This rule includes texting and making phone calls. Be prepared to take away a teenager’s cell phone and/or car keys if they aren’t abiding by this critical safe driving rule. Teens should not have any extra passengers in the car with them. Passengers are dangerous distractions to inexperienced drivers. Drive the speed limit. Allow extra time to reach your destination, and obey all traffic laws. Never drink and drive. Reinforce that you will always come to pick your child up should they need your help or find themselves in a bad situation with others who are drinking. Keeping the lines of communication open with your teen can make the difference between a teen who gets behind the wheel of a car after drinking, or one who makes the right choice and calls a parent rather than getting behind the wheel as an impaired driver. Wear your seatbelt each and every time, whether as a passenger or driver. Absolutely no exceptions. Excess speed was a factor in almost 40% of fatal traffic accidents involving teen drivers. Parents can stress that driving the speed limit protects not only your teen’s life but the lives of other motorists on the road. Driving home the importance of wearing a seat belt is also critical. Half of the teens who died as a result of a car accident were not wearing their seat belts at the time of the crash. Finally, take time to print off this safe driving contract with your teen. Make clear what the consequences will be if your teen doesn’t show good judgment behind the wheel, and stick to your guns if your teen breaks or ignores safe driving practices. The personal injury attorneys at Hardy, Wolf and Downing want each and every Maine family to enjoy the winter holidays. Parents who educate and monitor their teen safe driver help keep the roadways safer for all Maine residents, and protect one of their most precious assets: the lives of their children. If you or a loved one has been injured in an automobile accident involving an impaired or negligent driver, please contact our experienced personal injury attorneys. We can help you assess your case and understand your options. Our personal injury team has been working to get Maine families the compensation and justice they deserve for many years, and we’ll work just as hard for your family.